Gallardo might have torn knee cartilage. Ugh. An injury already? Fortunately it looks like it will be minor, but Haudricourt speculates that if the injury requires surgery, Gallardo would likely start the season on the DL. It seems to me that oftentimes these "minor" injuries in spring training turn out to be a lot bigger problems than teams let on at first. Hopefully Gallardo's injury is actually minor and does not become a recurring problem. He will be a big part of the Brewers' success this season. The Brewers could still stand to deal a pitcher, but, as Melvin has said all offseason, having depth is nice. It's just not feasible to keep as much depth as the Brewers have (barring substantial injuries and DL stints) since most of the players cannot be stashed in the minors. It will be a situation worth monitoring as spring training winds up. Update: Gallardo will miss 4 weeks, likely start season on DL. That's a bad way to start camp, but luckily it's not too serious. Unfortunately, catcher prospect Lou Palmisano appears to be headed for a similar surgery, according to the post. Is Joe Blanton Really THAT good? 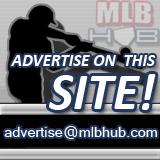 RightFieldBleachers.com is in no way affiliated with the Milwaukee Brewers Baseball Club.